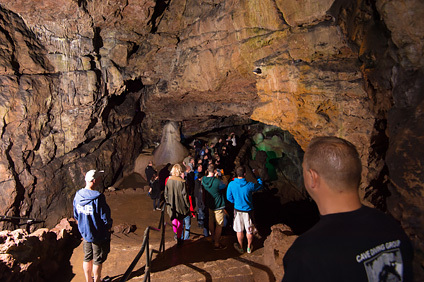 For many who attended TEKCamp 2014, The highlight was undoubtedly an exclusive 'out of hours' tour of the jaw-dropping Wookey Hole Show Caves with CDG diver Dr Duncan Price. Duncan took TEKCamp attendees on a fascinating history of cave diving in Wookey as we explored these world-class show caves. Few could fail to be gob-smacked by the breath-taking beauty of these amazing caves! 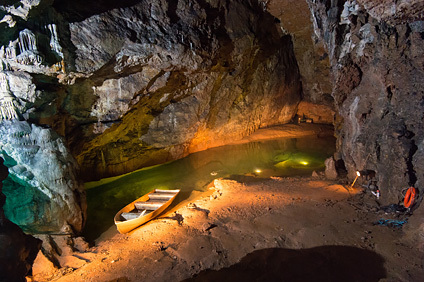 Over the years, Wookey Hole has become synonymous with cutting-edge cave exploration here in the UK and are considered by many to be the birthplace of British cave diving. Until 1935, Chamber 3 represented the limit of cave exploration on foot. Chamber 4 had been flooded by the mill leat and raised sluice gates since the 1850s, and nobody had penetrated further in recent times. 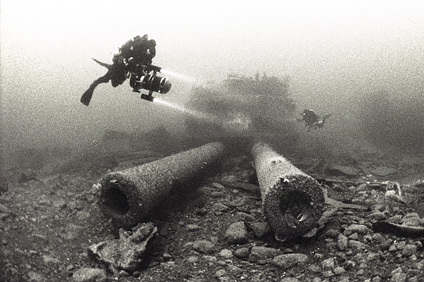 In 1935 two courageous divers, led by Graham Balcombe, walked along the river bed from Chamber 3 to Chamber 4 using heavy and cumbersome deep sea diving equipment. In spite of this, Balcombe reached Chamber 7 later that year. And in 1948, using oxygen equipment developed during the 2nd World War, he and his colleagues reached Chamber 9, now known as Cathedral Cave. 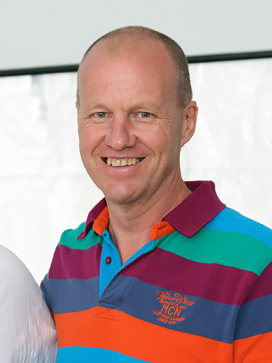 Duncan Price is the co-author of the award winning book Wookey Hole: 75 years of Cave Diving & Exploration published by the Cave Diving Group in 2010. 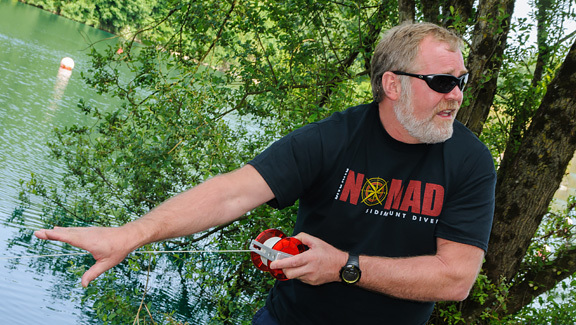 Duncan took his BSAC Snorkel Diver test in 1982 and started caving a year later whilst at university. 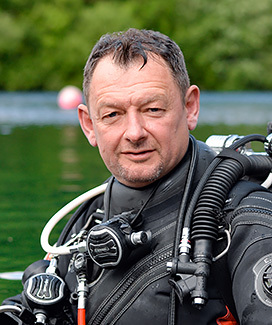 The progression into cave diving followed quickly and has involved him in the discovery of new cave passage in the UK, Europe and the USA over the past 25 years. 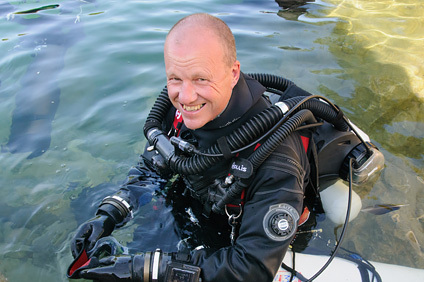 Duncan took part in the 2004-5 Wookey Hole explorations that established a new British depth record during which he dived to 70m (in a wetsuit!). 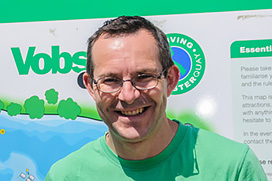 As well as writing about cave diving in numerous publications, Duncan is also an expert on the 26 different flavours of ice cream for sale at Wookey Hole Caves. Look out too for Duncan's new book which is due for release in May 2015 - Underwater Potholer: A Cave Diver's Memoirs. When not cave diving or eating ice cream, Duncan pretends to be a Chemical Engineer. 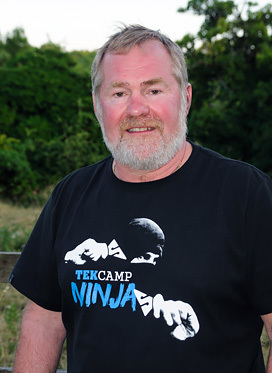 We were honoured to welcome cave diving pioneer Lamar Hires to TEKCamp 2013. 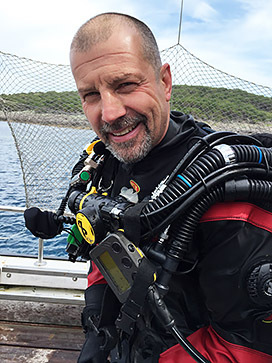 Lamar has spent over twenty five years exploring and surveying the extensive underwater cave systems near his home in north central Florida. 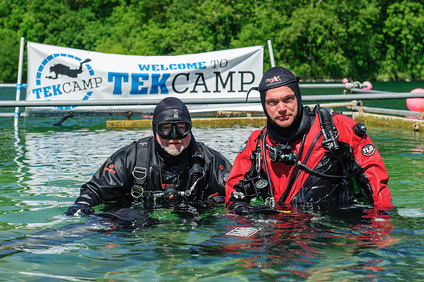 As one of the genuine pioneers of sidemount diving, Lamar treated TEKCamp attendees to a fascinating talk charting the history and evolution of sidemount diving from its humble beginnings to its widespread use today in both cave and open water environment. TEKCamp attendees discovered the thought processes that went into the evolution of the system and why sidemount is such a neccessary tool for exploring some of the inaccessible cave systems. Lamar started diving in 1979 after moving to Jacksonville, FL. The springs of North Florida were the closest dive sites to Jacksonville that didnÕt require getting on a boat. 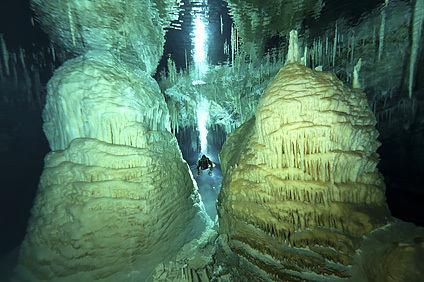 After diving all of the springs countless times, he was naturally drawn to the caves. In November 1984, after cave diving for five years and logging over 1000 dives, he earned his cave instructor rating with the NSS-CDS. 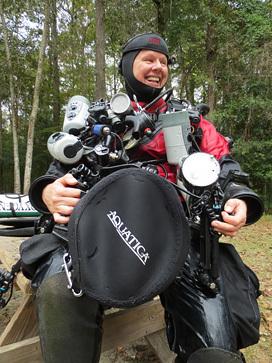 He has gone on to explore and map many cave systems in North Florida and around the world with a small group of dive buddies. 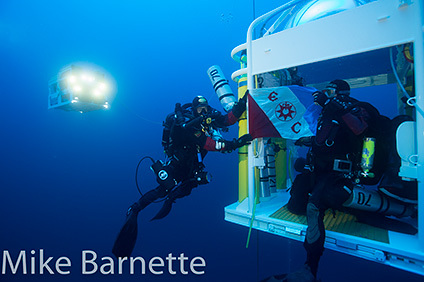 The motivation to explore and challenge himself led to the design of many new Dive Rite products and diving styles. 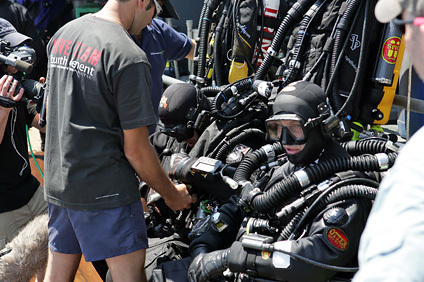 Lamar was one of the first to use sidemount techniques to push caves beyond the range of back mounted cylinders. 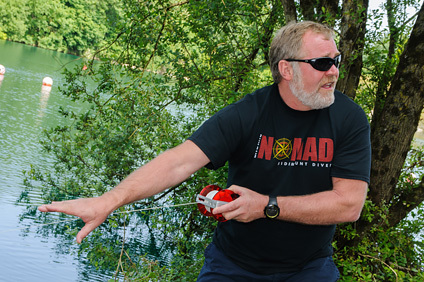 In 1985 he used this knowledge and experience to write the first sidemount specialty program for cave divers for the NSS-CDS. 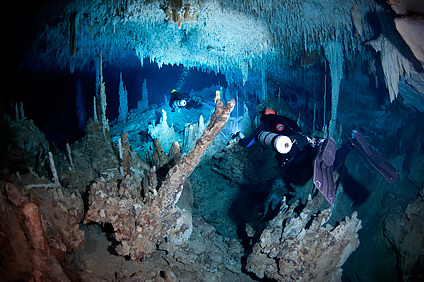 Ever wondered what it takes to be a cave diver? 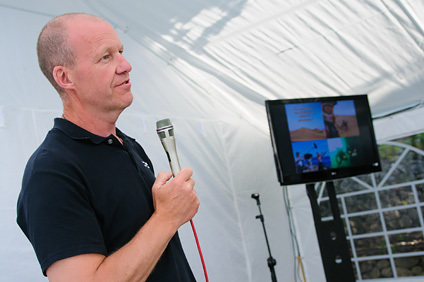 At TEKCamp 2013, we secured two of the biggest names in cave exploration who gave TEKCamp attendees an insight into what it's really like to be a cave explorer - world-record holding cave divers Rick Stanton MBE and John Volanthen. Our intrepid group were promised something just a little bit different from your usual cave talk, though - Rich & John quite literally got TEKCamp 2013 attendees actively involved! 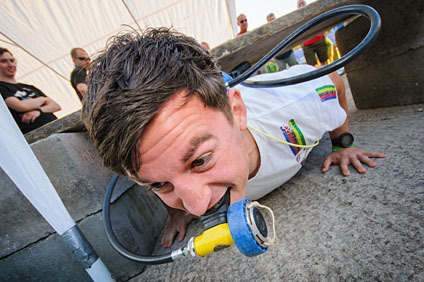 TEKCamp attendees got a taster of what it's really like to be a cave diver during a series of tasks designed to mimic the sort of challenges that cave divers like Rick and John face all the time during cutting-edge cave expeditions. From a simulated cave 'rescue' to lugging gear over, under and through an obstacle course, it was both challenging and fun. Luckily for attendees who were not too keen on confined spaces, all the activities took place on land and in the open air so everyone stayed safe and dry throughout. Still not quite sure what to make of it? 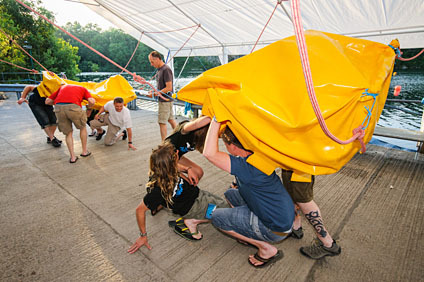 Think It's A Knockout meets James Cameron's Sanctum and you wouldn't be far off! 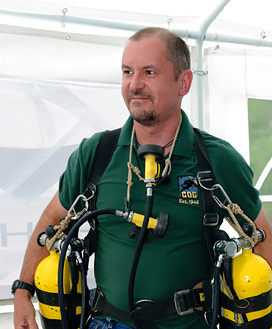 With 2012 marking the 100th Anniversary of the fateful sinking of the RMS Titanic 400 miles off the coast of Newfoundland, TEKCamp 2012 attendees were treated to a fascinating talk from someone who has actually visited this most famous of wrecks - dive explorer and rebreather guru Kevin Gurr. 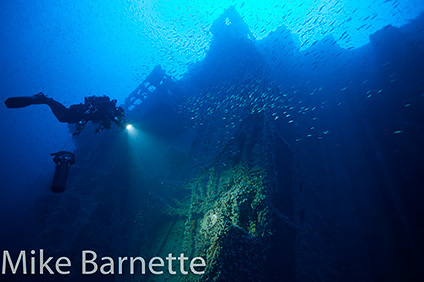 Featuring exclusive photographs of the wreck, Kevin's talk delivered a fascinating insight into what it feels like to experience 'the world's greatest wreck dive'. We were all completely spellbound and thoroughly jealous!